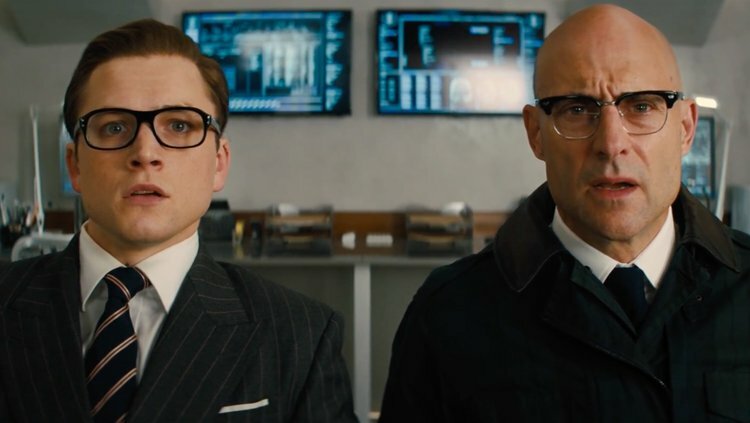 Kingsman: The Secret Service was such a pleasant surprise back in 2015. I had high hopes for it, but it turned out to be such a badass and awesome movie, one that exceeded my expectations. Colin Firth proved he could be an action star, and the whole world was introduced to Taron Egerton. Plus who could forget Samuel L. Jackson's lisp? It was such a blast of a film, and Matthew Vaughn did an incredible job directing it. So much so that now he's back for the sequel, Kingsman: The Golden Circle. I've been excited for this film, mainly because of how much I liked the first one. We don't know a lot of the story details, other than that it will introduce the American equivalent of the Kingsman, the Statesman. I think that's a very interesting direction to take the story, and I'm excited to see what they do with it. We've had one trailer so far. I enjoyed it the first time I saw it, but I've liked it less and less with each subsequent viewing. It's a nice teaser trailer; it sets up the basic story, and gives us some cool shots. It's a good taste of what the film is going to be. But it's nothing to lose your mind over. So I've been really looking forward to seeing the next trailer, in order to get a better look at what they are going for. And with San Diego Comic Con being this week, it made all the sense in the world for them to drop the next trailer now. And, sure enough, they did. I think this trailer was better than the first, but I still was not blown away by it. There's a lot of intriguing shots shown, but there is nothing that really blew my socks off and made me think "Wow, I have to see this movie!" Most of my anticipation for this movie is still based on how much I liked The Secret Service, which is really not a good thing. Especially considering that we're now two trailers deep into the marketing for this new movie. It's not that I don't think these trailers are well made, or that I don't think the movie will be good, it's just that there has really been nothing compelling to me about these trailers. There's nothing that actually gets me genuinely excited to see this movie. Then again, the trailers for The Secret Service weren't the best, and it turned out to be incredible! So just because these trailers aren't exactly landing for me doesn't mean the movie itself won't be fantastic. I still have high hopes. I have to say, though, I love this cast. It is absolutely stacked. You have, aside from Firth and Egerton, Mark Strong, Julianne Moore, Channing Tatum, and Jeff Bridges. It is a packed movie, and I can't wait to see all of these personalities on screen together. So while this trailer isn't a huge buy for me, I'm still excited to see The Golden Circle. What do you think? Did you like the new trailer for Kingsman: The Golden Circle? Are you looking forward to seeing the film? What other news or trailers do you think we'll get at San Diego Comic Con this year? Leave your thoughts in the comments section below.